The main suspect in the Paris fire which killed 10 people was released from psychiatric care just a week before, officials have revealed. The eight-storey building was set ablaze – apparently deliberately – in the early hours of Tuesday morning. The suspect had been placed in psychiatric care 13 times in the past decade, according to prosecutors. Prosecutor Rémy Heitz told journalists she had been released on 30 January after assessment by a doctor. The woman, who was in her 40s, lived in the building and was arrested outside, allegedly drunk and trying to set fire to a car. She was briefly questioned before being sent to a police psychiatric facility. The arrested woman, named only as Essia B, was “confused”, prosecutors said, but denied setting fire to the building. She has no previous criminal convictions, though has been investigated for at least three offences – one of which involved allegedly setting fire to clothing in a store. In a press conference, Mr Heitz also revealed that police had been called to the building not long before the outbreak of the fire. Shortly after midnight local time, one of the building’s other residents – who happens to be a firefighter – called police over a residential dispute with his neighbour. He had complained about noise, resulting in an argument. Police left the scene at around 00:30, officials said. The first call to firefighters came minutes later. 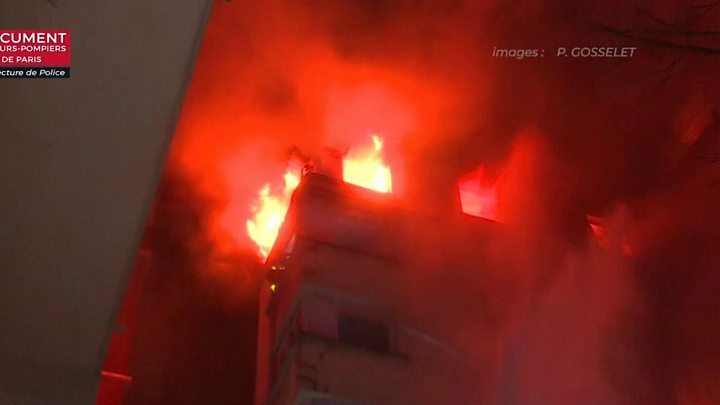 Rescue teams saved dozens of residents from the inner courtyard location under difficult conditions as the fire spread throughout the eight-storey building. Firefighters with heavy breathing equipment scaled ladders on the exterior to rescue people from windows and balconies. Several firefighters were among the 96 wounded. The blaze was brought under control after five hours. Of the 10 dead, six have been officially identified, Mr Heitz said, and another remains in critical condition. The relatives of two victims have identified them to French media. Jonathan Jouclas, aged 26, lived on the seventh floor of the building and was found dead, his father Patrick announced on Facebook. Patrick Jouclas had earlier appealed for help in finding news about his son, spending two days without hearing anything. Late on Wednesday evening, he confirmed that Jonathan had been found in his room. He was certain that “his habit of playing online with a headset over his ears prevented him from hearing the alarms in time”, he said. 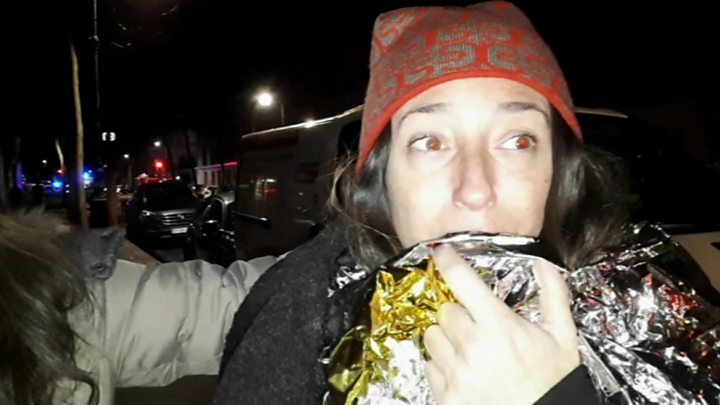 Friends of 39-year-old Radia Benaziez told Le Parisien newspaper that she had died in the blaze, describing the architect as an “exceptional woman”. Ms Benaziez worked from her home in the building, the newspaper said. “She was adorable. Her kindness was matched only by her beauty,” one of her former co-workers said. A baby is also known to be among the victims. Relatives of some other residents have told French media that some people are missing while they wait for news from authorities.